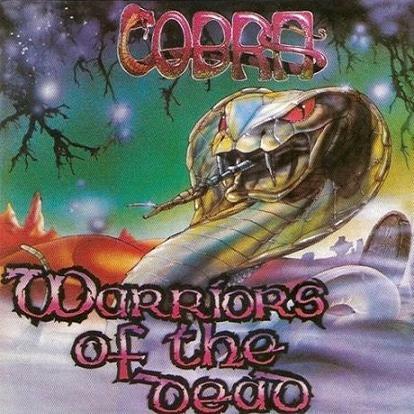 Cult Metal Classics: «Cobra were formed in the early 80's from the ashes of Talon and managed to gain a cult following posthumously, when collectors and NWOBHM fans started discovering the great music that was contained in the two albums they did, "Warriors of the Dead" in 1985 and "Back from the dead" in 1987. It took us a while to manage to locate the original members of Cobra and taking care of all details in order to negotiate a reissue deal with them, but after nearly 4 years, the two classic albums of the band, will be officially available again as deluxe CD and vinyl editions, featuring fantastic remastered sound, lyrics, interview with the band members and classic photos, plus the original cult artwork that the albums originally came with. The CD versions will be limited to 500 copies each and will be available around Spring of 2018 and the vinyl versions that will be limited to 300 units each, will follow at a later date. Album: "Warriors Of The Dead" & "Back From The Dead"